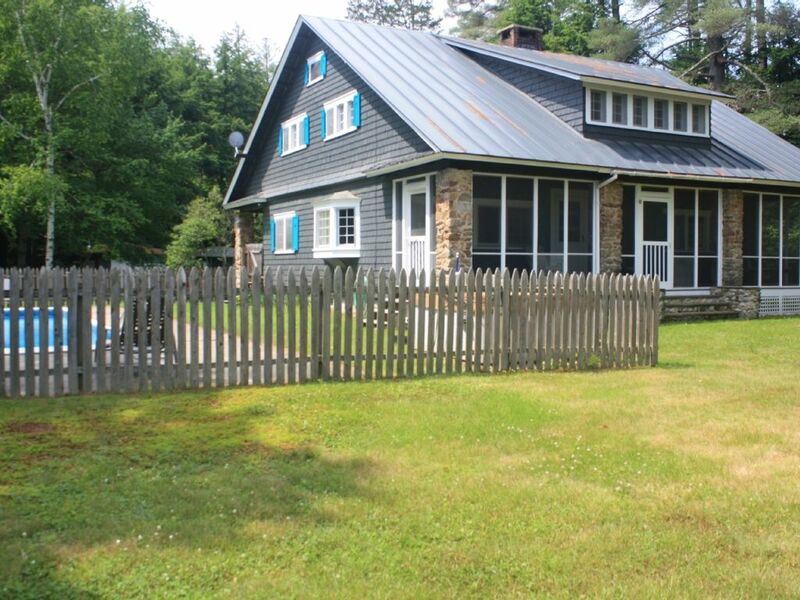 Secluded mountain retreat located on 83 acres with private mountain and pool. On the VAST snowmobile trail. Originally built in 1910 as a gentleman's hunting lodge, this 'Arts & Craft' style home is a wonderful year round retreat. This home boasts beautiful landscaped grounds, a newly renovated large in-ground pool with new patio, and spectacular mountain views. Enjoy the large front and rear covered porches with four stone pillars for reading, relaxing in the HOT TUB, and dining. Cozy up to the grand floor to ceiling field stone fireplace. Enjoy hiking, biking, or snowmobiling on the extensive trail system which takes you from the fields, across the pond through the majestic forest to the mountain top. Access the VT State snowmobile trails. BBQ area with a granite picnic table and stone fireplace with cooking grill. 20 minutes (+/-) to Okemo, Killington, & Woodstock. 6 miles from exit 8 of I-91. BR B Amenities: /B BR 5+ bedrooms, 2 baths, Sleeps 12+. Newly Renovated Kitchen. All new appliances.